Green coffee beans; after harvesting the cherry, they are produced by a humid and / or dry process, grain selection and cup quality. 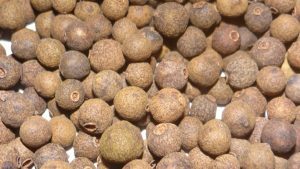 Peppercorns; after the harvest of the "green" fruit, it undergoes a process of washing, dehydration and sanitation, which eliminates impurities and foreing matter. 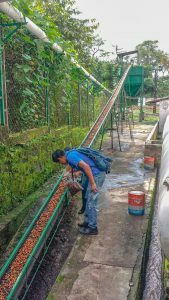 Production of cacao beans; after pod collection, they are shelled and fermented to later dehydrate and be ready as dried fermented grains. In the fertile fields of the coastal mountain transition zone, at altitudes of between 600 and 800 meters above sea level, the grain grows uninterruptedly for almost 8 months. 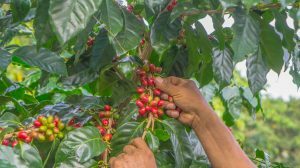 The experienced coffee growers will collect the fruit in an artisanal way between the months of November to January, under a strict quality control. For the humid beneficiary only fully ripe fruits are accepted, from certified farms 4C and Rainforest Alliance. 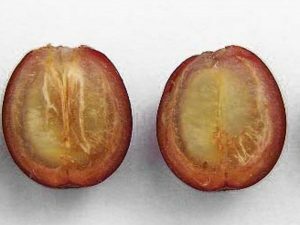 Afterwards, the selected coffee “cherry” enters a separation process by the means of water, in which it is cleaned efficiently. In this way the less heavy coffee that is regularly used for another quality is separated from the rest. 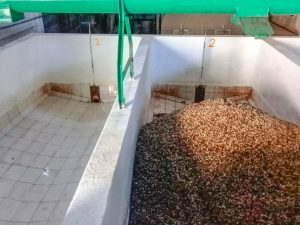 The coffee is pulped by mechanical means where, with 100% of the equipment calibrated, the cherry is detached from its carapace or pulp, which is moved to a specific area for composting. This process is carried out with a minimum of water, since the equipment is ecological; the result is a highly efficient pulp. The staff, with more than 30 years of experience in the beneficiary, monitors this process since it is the stage where we define the characteristics of taste and smell, flavours from vanilla, cinnamon, hazelnut and walnut to bitter chocolate. The fermentation varies from 16 to 24 hours in the tubs, depending on the climatic conditions. 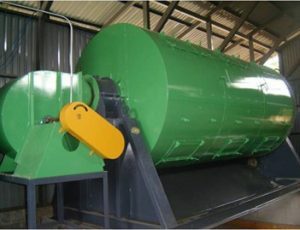 Here the experience and the advanced control techniques are combined, since a failure in this process would damage the total quality of the grain. The mucilage is removed from the coffee in the fermentation tanks. The process is carried out with clean water and the coffee is then sent to the residual treatment. For the coffee drying we use specialized and sustainable equipment in “rotary dryers” that are operated through the coffee husk or also known as straw that is obtained from the parchment coffee threshing being an economical and non-polluting fuel. The coffee is dried at maximum 60 degrees Celsius to achieve the uniformity and colour characteristic of light green coffee. 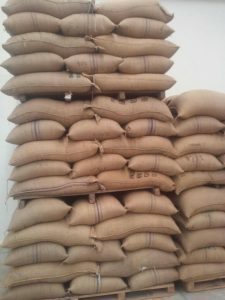 In warehouses in optimal conditions, the parchment coffee is protected in clean jute bags. It remains at rest and shelter for 3 months before going through the threshing process. Once the parchment coffee has settled, it goes through a threshing process where the endocarp or the coffee husk is extracted. 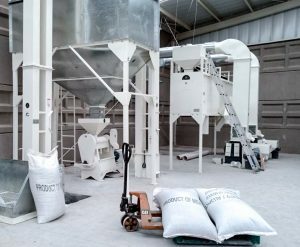 Now it will be transformed into green or gold coffee, following a process of selection by size and specific weight by pneumatic means, ending in a selection process by colour where the possible grains are separated and comply with the high quality characteristics required. At all times the process is protected against foreign material by identifying critical control points monitored by the HACCP plan. 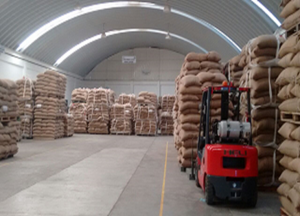 The coffee selected after the tasting is packed and stored in our finished product cellar of Perote, Veracruz. 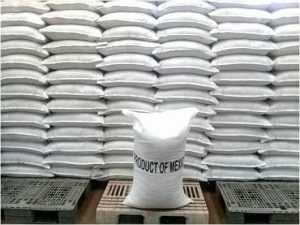 Under stable temperatures of 18 to 20 degrees Celsius and low humidity the grains are stored so that the grains are kept in perfect conditions free of pests. We comply with the highest standards of international storage, with the 4C, Rain Forest Alliance and Halal certifications. We have different types of coffee to offer our customers from gourmet coffee to the most demanding palates and also qualities for local toasters at affordable prices, which are all reviewed by our taster and approved by the Coffee Quality Institute. We carefully record the cup scores to later prepare the correct mixes for the most demanding palates. We are aware that the quality of the cup is defined from the harvest of the cherry and that is why we have an efficient traceability system. The artisanal process of harvesting the green beans is carried out by producers, who through experience make the selection at the right moment, in the months of August and September. In this process the ripe berry that is no longer of high quality is eliminated. 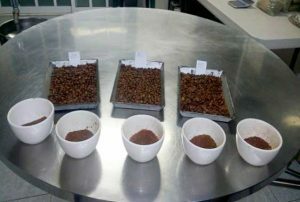 This will allow us to select pepper grains with a suitable texture and colour. Some producers, after harvesting the green pepper, immediately put it to dry in the sun. There are also producers who take the green pepper crop directly to our drying plant. In our drying centres we use alternative energy such as coffee husks, which is an economical and sustainable product. The drying process is highly innocuous and the temperatures are controlled at no more than 60 degrees Celsius and moderate air flows. With this a brown colour and texture, typical for allspice, is achieved. We have a system for the conditioning of the pepper. The process consists of removing the peduncle, stuck sticks, leaves and any foreign matter that could affect the quality and safety of the product. We have two types of final selection. 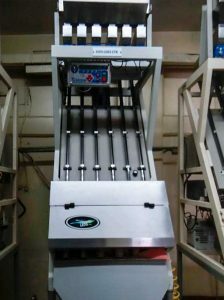 The first is by electronic means with a high technology sorter. The second is through manual selection by highly trained personnel in “Good Manufacturing Practices”. 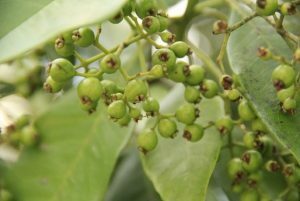 Our warehouses for allspice have the necessary conditions for an adequate protection of the product and we guarantee that the shipments for international and national customers will be delivered efficiently by a chain of custody and a highly efficient and functional traceability system. We are a Mexican company specialized in the production of quality cacao. We are a business option whose objective is to obtain cacao in communities that thrive. Our vision of prosperity and sustainability means that we work together with more than 500 producers. In Asociaciones Agroindustriales Serranas S.A de C.V. we have an improved traceability system. We know that quality starts on the field and that is why we implement a highly efficient chain of custody with a strict and systematic control of quality and safety in each stage of the process. Before the product is received in our plant it is observed by the field technical team, who looks at the general quality of the harvest. To allow for transparency in the negotiations, we classify the product in different categories and the prices are paid according to the established contract. With the highest standards of storage and compliance with current regulations, our cacao is protected and conditioned with constant monitoring of quality to always guarantee the highest quality raw materials. Our logistics of deliveries is reliable. We fulfil the shipments in time and the cacao will arrive from the field to your table in optimal conditions.